Here in Britain many people are brought up drinking tea yet most of that consumption is solely black tea. Speaking from personal experience I know many people consider fruit and herbal teas too ‘childish’ and any other tea colour albeit green, Oolong, Rooibos etc too ‘different’ and even deemed ‘unnecessary’. Some like myself are willing to try anything and everything while others are more stubborn when it comes to tea, after all why try something new when they already have one they like? Looking in any local supermarket now a days you will find a growing number of teas and products which even include stocking a promising range of loose leaf teas as well known brands such as Tea Pigs for the ‘home conoussier’. Yet despite all of this a lot of people still will not experiment their home brew. For a few years now I have been experimenting with tea and though black tea will always hold a special place in my heart I find myself favouring green tea the most. Usually when I admit that to people I am asked a common question: “What’s so great about green tea?”. Green tea is believed to be the second largest consumption in the world after water and as been an Asian staple for over 2000 years. A quick side note – The first tea to enter Britain was in the mid 17th century yet it reached Europe as early as the 1500’s largely thanks to Venice and Portugal. That will hopefully give some people an idea of how traditional green tea consumption is around Asia. Though all green tea is part of the true Camellis sinensis plant they come in many different varieties and types. Most are cultural and unique to that culture/region. For example: Long Jing (Dragon Well) originates from Zhejiang province in China, though it’s a popular tea and available in many grades (qualities) it is unique to that region in terms of growth. Though some other areas do grow the same plant it is not considered authentic Long Jing. The picture below shows only a small fraction of the differences green tea leaves can have in appearance. Matching the differences in appearance each green tea also has a unique flavour and characters. Much of this is down to the differences in growing and processing the leaves which again tends to be down to regional factors. For example: The Hangzhou Tian Mu Qing pictured above comes from Tianmu Mountain, Lin’an County, Hangzhou City, Zhejiang, China. It is fully organic and is grown high in the mountains, this gives it a clean and fresh taste with strong aroma. There may be teas that taste similar but none will be the same. I only touched a little on the differences that green teas can have but the point to those are to show you that variety is the spice of life. If I want green tea I can decide exactly what I want to taste ie flowers, fruit, grass and I can then find a green tea to match it. This makes green tea very versatile and perfect for any occasion. Plus on average green teas can be steeped successfully more times than black teas and re-steeping is highly encouraged in order to experience the teas full array of flavours. On top of those health factors green tea usually has less caffeine than black tea. The average green tea has roughly 8-16 mg of caffeine whereas the average black tea has 25-110 mg of caffeine. As a ball park the average cup of coffee has roughly 128 mg of caffeine. Caffeine is an addictive stimulant that can cause many side effects such as headaches, anxiety and depression, particularly with high consumption withdrawal. Hopefully now some of you can see exactly why green tea is so popular and why everyone should be open minded about trying it. I’m sure there will be more points to add to my list but at this moment in time that is all I can think of. If you’re new to tea and have never tried green tea then I highly recommend it, remember to read the back of the packages regarding steeping time and strength, if you treat green tea like black tea ie boiling water for 3+ minutes then it will be disgusting and ruin your experience. I am a bit puzzled by some things you wrote. What is your source for “Green tea is believed to be the second largest consumption in the world after water”? 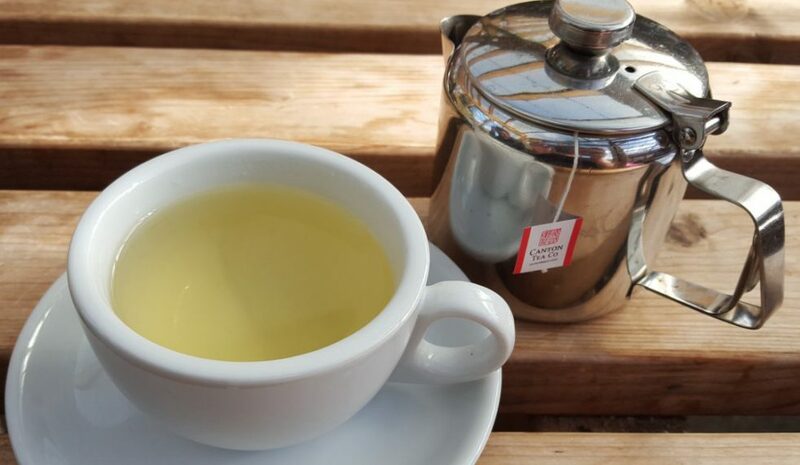 How do you know that green tea has positive effects on health? And how come it can be re-steeped more times than black tea? I would also say what is the difference between green and black tea. Thank you for reading my article. My source for most of what I wrote comes from renowned tea author Mary Lou Heiss. She mentions that “Green tea is believed to be the second largest consumption in the world after water” in her book ‘Green Tea: 50 Hot Drinks, Cool Quenchers and Sweet and Savory Treats’. That is also where she mentioned the effects and studies that have been done (to some extent) on the health benefits of green tea. I also cross referenced those by doing a quick search for the source ie institute or university etc and found the notes directly. To help I put a link for one of them so people can read for themselves, it goes far more in depth than I could probably ever comprehend. The book mentions that green tea can yield ’50 cups of tea per 4 ounces of dry leaves’. Changing the ounces to grams (which 4 oz = 113g rounded) made it easier for me to work out, that is an average steep using only 2g (rounded). That is recommended per 8oz water (227ml rounded). Unto that it further mentions then ‘Unlike black teas, most Chinese and Japanese green teas can be successfully re-infused two or three times, increasing the yield of 50 cups of tea per 4 oz of dried leaf to double or triple that figure. In fact, Asian tea-drinking custom holds that green teas to not release their most delicate, precious flavour until the second or third infusion’. It does not mention exactly why that is but if I were to take a guess it would be because it’s more natural in terms of being less processed. You start green tea steeping at a lower temperature and slowly increase which opens the leaves gradually over time. Black tea is usually heavily processed and you open the leaves fully with boiling water. So black tea is more of an instant tea where as green tea is for a few hours. Perhaps someone in the know could help us out with this in further detail. As for your last question ‘the difference between green and black tea’ I can only assume you are talking about the cultivation and processing? I assume you already know that but I will mention it anyway. Black tea is ‘over-oxidized’ after being picked. I believe it’s true that all teas grown start of green but the process they go through changes their type ie colour. Black teas are ‘over-oxidized’ in different ways depending on culture and type but it usually consists of toasting/baking or smoking the leaves which gives them a deep flavour and changes the leaf colour from green to black. Green tea leaves are picked and undergo minimal processing to keep them natural, mostly for for preservation and longevity are the leaves lightly pan fried/toasted or gently sun dried. That comes from years of reading and viewing pictures of processing. A good source read for this would be Wikipedia. I know the answer to the last question but I thought it would be nice to have it in the article. I will check more sources and come back to you.